For women of the Italian Renaissance, the Virgin Mary was one of the most important role models. Who Is Mary? presents devotional works written by three women better known for their secular writings: Vittoria Colonna, famed for her Petrarchan lyric verse; Chiara Matraini, one of the most original poets of her generation; and the wide-ranging, intellectually ambitious polemicist Lucrezia Marinella. 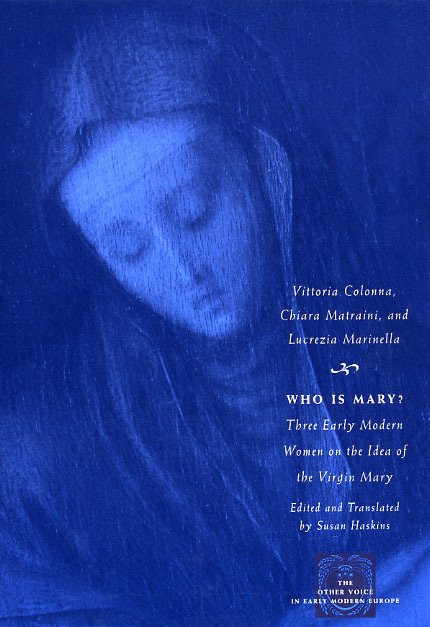 At a time when the cult of the Virgin was undergoing a substantial process of redefinition, these texts cast fascinating light on the beliefs of Catholic women in the Renaissance, and also, in the cases of Matraini and Marinella, on contemporaneous women’s social behavior, prescribed for them by male writers in books on female decorum. Who Is Mary? testifies to the emotional and spiritual relationships that women had with the figure of Mary, whom they were required to emulate as the epitome of femininity. Now available for the first time in English-language translation, these writings suggest new possibilities for women in both religious and civil culture and provide a window to women’s spirituality, concerning the most important icon set before them, as wives, mothers, and Christians.